Hotel ZaZa - Memorial City - Zero/Six Consulting, LLC. 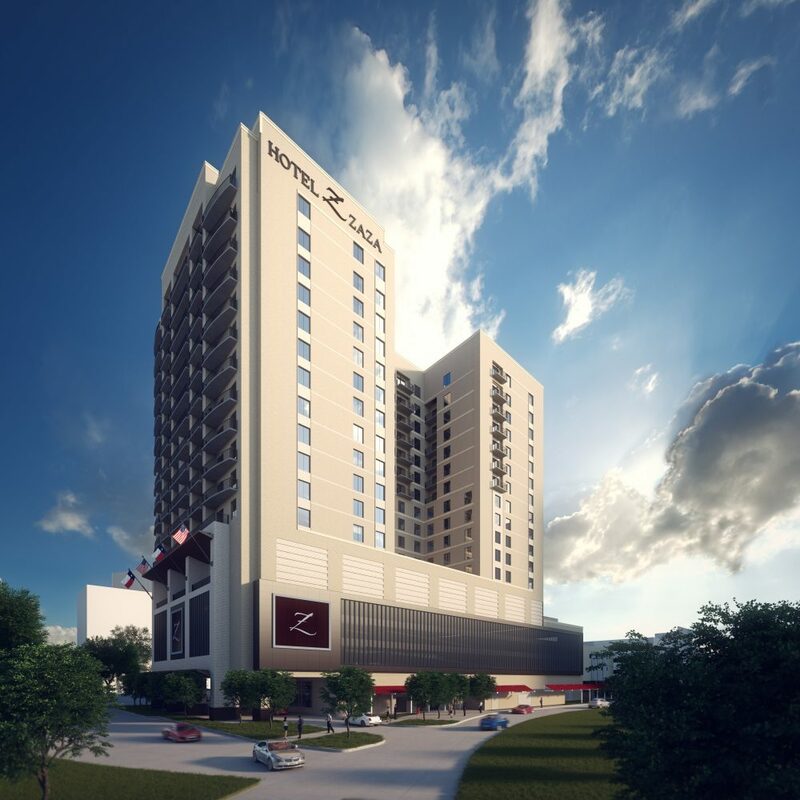 The new Hotel Zaza Memorial City is 17-stories and houses 159 guest rooms and more than 10,000-square-feet of event space. What’s different about this new location versus the existing Museum District hotel is the addition of 130 live-in apartments. Guest amenities include two outdoor pools, a spa and restaurant lounge overlooking a green space that will be used for live music, community festivals, markets and year-round programming. 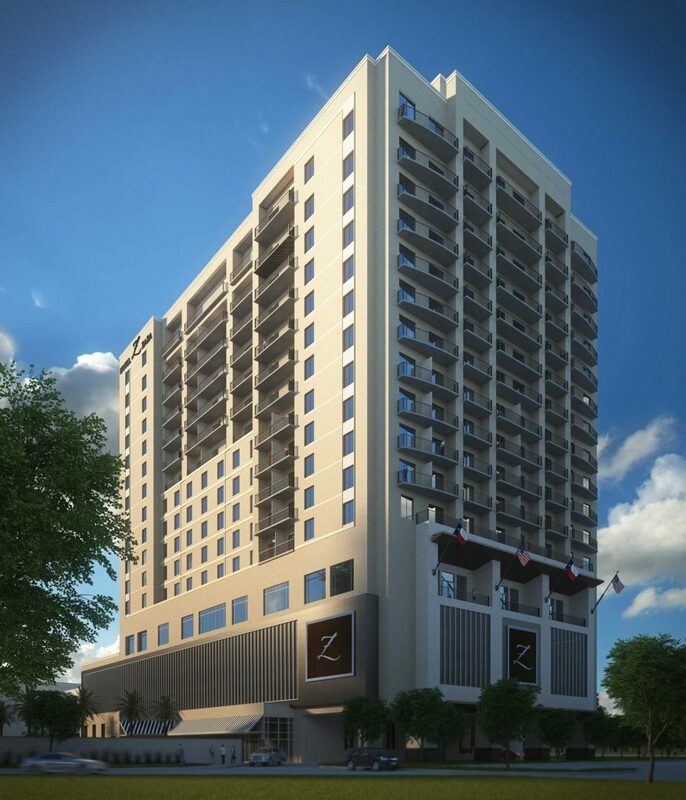 Hotel ZaZa Memorial City serves as the anchor for an existing upscale mixed-use area that includes a rich blend of Class A office towers, retail, restaurants, and luxury residential within Memorial City. Zero/Six provided preliminary construction documents, submittal, and RFI reviews pertaining to the exterior envelope. The Zero/Six team participated in pre-install meetings for waterproofing, air barriers, windows systems, and roofing systems to ensure the installed systems interfaced as intended. During construction, Zero/Six performed over 80 site visits to observe ongoing exterior construction activities and delivered daily written reports. The reports included photographs documenting compliant and non-compliant work along with detailed descriptions and recommendations. Exterior commissioning services included performance testing 18 window systems in accordance with ASTM E1105 and five roof uplift tests in accordance with FM 1-52.